This article first appeared in The Edge Financial Daily, on September 8, 2017. 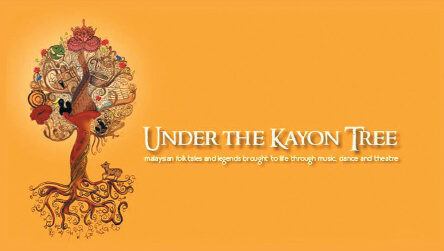 As part of the Shantanand Festival of Arts 2017, The Temple of Fine Arts (TFA) Kuala Lumpur presents Under The Kayon Tree. The Ankur ensemble will once again showcase a virtuosic ensemble of multi-ethnic Malaysian home-grown talents in a brand-new presentation — featuring storytelling, drama and music. The show will bring to life Malaysian legends and folklore with Puteri Hang Li Po, Hang Jebat, Sultan Parameswara and Mahsuri as the protagonists and narrated by the inimitable Shantini Venugopal. Catch the 8pm show either today or tomorrow at the Shantanand Auditorium of TFA at 114-116 Jalan Berhala, Brickfields, Kuala Lumpur. Admission is by donation. Visit www.tfa.org.my or call (03) 2274 3709 for more information. 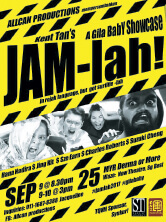 Following the success of its sold-out performance, I Hate My Job, last year, Allcan Productions is now back with JAM-lah — a topic that it feels truly brings out the 1Malaysia spirit of everyone in this country. The show is a selection of stories depicting the unimaginable amount of hours most Malaysians spend in their cars daily and a K-pop dance as the opening act, featuring five individuals ranging from a variety of social classes — a religious teacher, a politician, a famous celebrity, a Chinese Uber driver and an Indian receptionist — and presented in the four languages. It uses a series of current social, economy and political issues to describe the traffic woes that have been terrorising Kuala Lumpur for years. Show times are at 3pm and 8.30pm tomorrow and 8.30pm on Sunday at Now Theatre, Midfields Square West, B1-28-1 Jalan 11/108C Taman Sungai Besi, Kuala Lumpur. Entry is by a minimum donation of RM25. Visit www.facebook.com/Allcan-Productions-766077700160117 or call (011) 1687 8388 for ticketing information and more. 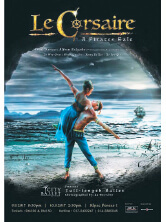 Inspired by Lord Byron’s epic poem, The Corsair, City Ballet Production brings the classical ballet Le Corsaire to the Kuala Lumpur Performing Arts Centre (klpac) this weekend. The show will be a swashbuckling, romantic tale of pirates, slaves, betrayal, loyalty and oriental intrigue and is typical of the exotic and ambitious ballets created during the Tsarist Era. Tickets of the 8.30pm show tomorrow and the 2.30pm show on Sunday at Pentas 1 of klpac Sentul Park, Jalan Strachan, off Jalan Sultan Azlan Shah, Kuala Lumpur, are priced at RM100 and RM150 and available for purchase via www.ticketpro.com.my. Visit www.klpac.org or call (03) 4047 9000 for more details. Come and witness a comic dilemma as two zany characters bring “the art of listening” to life in The Listener, at the Dewan Filharmonik Petronas (DFP) this Sunday. 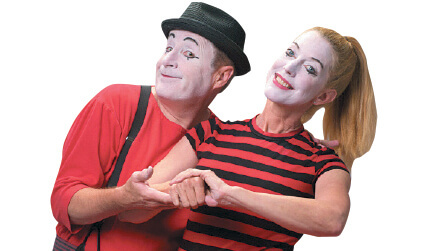 The show featuring the Malaysian Philharmonic Orchestra, with conductor Gerard Salonga, presents a concert exploring the many art forms in which the orchestra is involved but his efforts are complicated by the unexpected participation of a bugle playing mime who wants to sing opera and a tap-dancing ballerina, Magic Circle Mime (pic). Tickets for the 2.30pm and 4.30pm shows are priced at RM50, RM80, RM100 and RM130 and can be purchased via the venue’s website. The DFP is located on level two of Tower Two, Petronas Twin Towers, Kuala Lumpur. Visit www.mpo.com.my or call (03) 2331 7008/7007 for more information. A group of swing dance enthusiasts, LindyKL invites you come dressed in your best vintage for an evening of swing dancing and partying like its 1939! There will be guest international instructors Juan Villafane and Mariel Gastiarena as well as jazz music by Sudu Garp Trio, JnJ Competitions and Crazy Swing Out Battle! 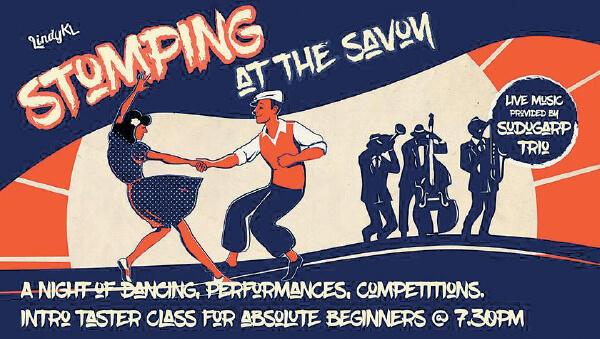 For those who are new to swing dancing, there will be a 30-minute Beginners’ Taster Dance Class at 7.30pm. Make your way to Pusat Kreatif Kanak-kanak Tuanku Bainun 48, Jalan Tun Mohd Fuad, Kuala Lumpur, tomorrow to groove to the jazzy beats. Registration begins at 7.15pm and the party passes are priced at RM70 and RM280. Visit www.facebook.com/lindykl for more information. 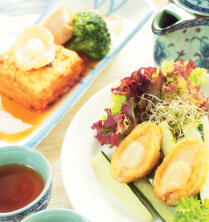 The succulent, decadent abalone takes centre stage at One World Hotel’s Zuan Yuan Chinese Restaurant, all this month. The nutrient-rich delicacy in available in five exquisite interpretations — pan-fried and served with mixed garden green, braised with morel mushroom and home-made tofu, braised with duo bean curd and home-made fish balls, braised with chicken served in claypot and double boiled it with chicken and sea coconut for a hot bowl of rich and nutritious golden broth. The Abalone Supremacy promotion is priced from RM28 nett per portion and available for lunch (noon to 2.30pm) and dinner (6pm to 10.30pm) daily. One World Hotel is situated at First Avenue, Bandar Utama City Centre, Petaling Jaya. Call (03) 7681 1159 or email [email protected] for reservations and further enquiries. 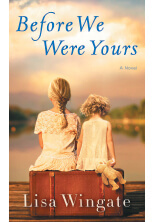 Based on a real life scandal and first-hand accounts about the notoriously corrupt Tennessee Children’s Home Society, Before We Were Yours by Lisa Wingate tells the story of a Baltimore assistant district attorney who learns her family’s long-hidden history through a chance encounter with a stranger. While researching her grandmother’s past, the lawyer learns about the orphanage that kidnapped children and placed them for adoption by wealthy people. The book is priced at RM118.76 and available for purchase at malaysia.kinokuniya.com. 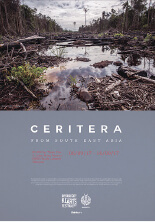 Ceritera is a photo exhibition happening at Ruang by Think City, showcasing Southeast Asia’s best image-makers and stories from Asean. The programme includes exhibitions, curatorial walks, talks and forums with notable artists from the region including Andri Tambunan (Indonesia), Caleb Ming (Singapore), Doni Maulistya (Indonesia), Hanna Reyes (Philippines), Hasnoor Hussain (Malaysia), Kemal Jufri (Indonesia), Ulet Ifansasti (Indonesia) and Veejay Vilafranca (Philippines). 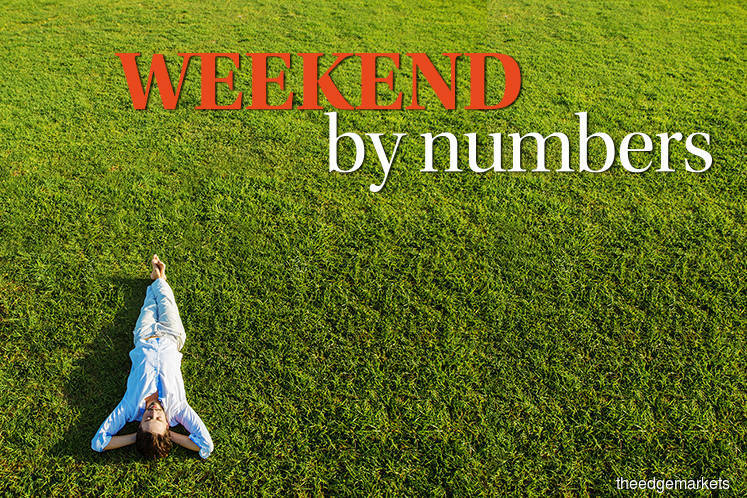 Visiting hours during the weekend are between noon and 8pm; admission is free. Ruang by Think City is located at 2 Jalan Hang Kasturi, Kuala Lumpur. Log on to www.diversecity.my or call (03) 2022 1697 for more information. Spend this Saturday at Ilham Gallery and participate in a number of events it has lined up for the day. Begin the day with the Children’s Picture Book Reading Session at 10.30am, a 90-minute session organised in collaboration with Books Kinokuniya KL. Email [email protected] to register for this. Afterwards at 3pm, take part in a session of Ilham Conversations. This times around the topic is Postcards from the South — documenting the history of Malaysian railways and their fleeting memories. Mahen Bala will be presenting stories from Projek Keretapi Kita, which is documenting the story of railways in Malaysia through pictures, videos and interviews. He will explore the value of documenting oral history, and what lies ahead for the project. Finally, at 5pm, catch a screening of Ridhwan Saidi’s short films followed by a conversation with the film-maker. Admission to all the events are free and Ilham Gallery is located at 8 Jalan Binjai, off Persiaran KLCC, Kuala Lumpur. Visit www.ilhamgallery.com or call (03) 2181 3003 for more information.